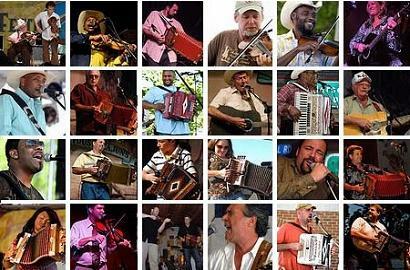 2019 Mardi Gras in Rural Acadiana: Friday Street Dances in Eunice: La Recolte, Wayne Toups; Tee-Mamou Women's Courir; LeJeune Cove Courir; Saturday Street Dances in Eunice: T'Monde, Fred Charlie & Acadiana Cajuns with a visit from the Basile Mardi Gras, Kevin Naquin & the Ossun Playboys, Jamie Bergeron & the Kickin' Cajuns; Savoy Music Center Jam Session; Saturday Programs at Acadian Cultural Center; Liberty Theater Mardi Gras Show; Pine Leaf Boys at Lakeview; Sunday Street Dances in Eunice: Ryan Simon & Acadien; Kegan Navarre & Louisiana Traditions; Horace Trahan & the Ossun Express; Lundi Gras Boucherie at Lakeview Park; Daiquiri Queens at the Holiday Lounge; Monday Night Street Dances in Eunice: Bubba Hebert & the New Morse Playboys; Travis Matte & the Kingpins; Basile Mardi Gras Courir; Tee-Mamou Mardi Gras Courir; Eunice Mardi Gras Courir; Mamou Mardi Gras Courir; Eunice Mardi Gras Courir Parade through Downtown Eunice; Steve Riley & the Mamou Playboys in Eunice; Geno Delafose & French Rockin' Boogie at Nicks on 2nd. For other Mardi Gras photos from the past, go to the Mardi Gras in Acadiana Page. Another page has recordings/transcriptions of four Mardi Gras songs. Tribute to Hank Williams Sr.
Below are links to photos of Cajun, Creole, and Zydeco bands from Louisiana posted on Flickr. Also included are links to photos of the most recent Mardi Gras in rural Acadiana. Flick pages allow access to high resolution images. The photos were taken by David Simpson, who retired in May 2009 from LSU at Eunice. Go to mobile version of this page.